A gorgeous, new variety with pendent or outward-facing, saucer-shaped flowers that are crammed with lilac-coloured petals. These apear from February to April above the leathery, deep green leaves. 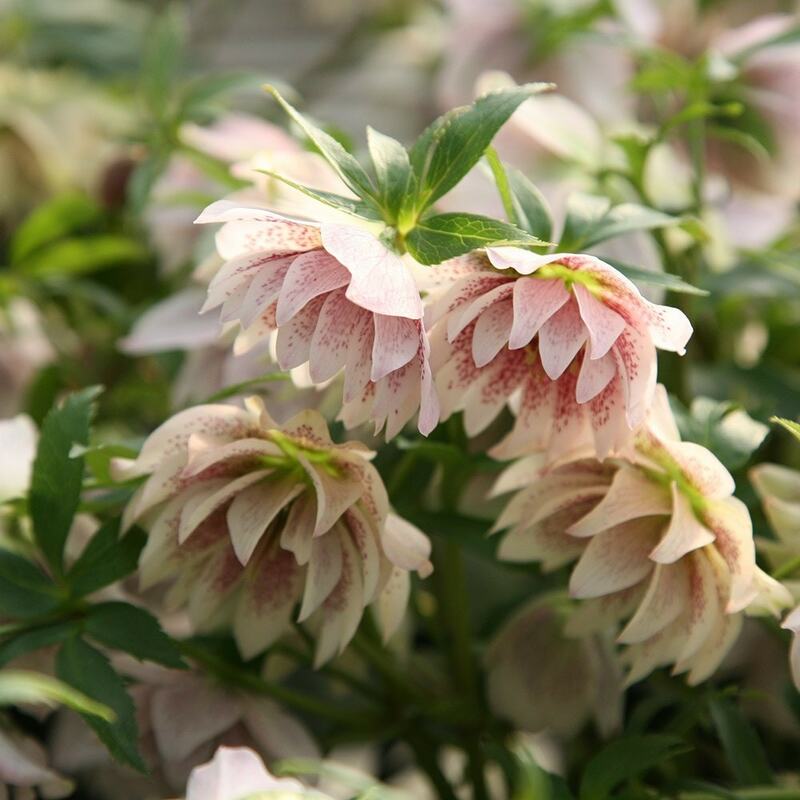 This lenten rose creates a stunning ground cover for areas of dappled shade under deciduous trees and shrubs. Like all hellebores, they prefer a heavy, neutral to alkaline soil.